RF Modules Australia have introduced the SENA Technologies’ Parani-UD100, a class 1 type Bluetooth USB adapter that supports up to 300 meters of wireless transmission distance by default. The working distance can be extended up to 1000 meters using optional replacement antennas. It supports the new Bluetooth specification 2.0+EDR (Enhanced Data Rate). A Toshiba driver CD is included as the Bluetooth driver CD. 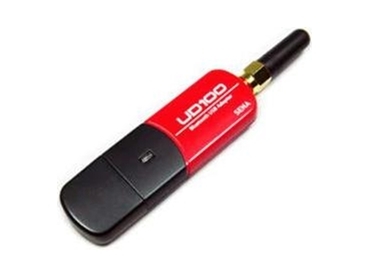 As a result of its longer communication distance, the Parani-UD100 class 1 type Bluetooth USB adapter is suitable for industrial or special applications. The Parai-UD100 class 1 type Bluetooth USB adapter is compatible with other SENA Bluetooth devices.